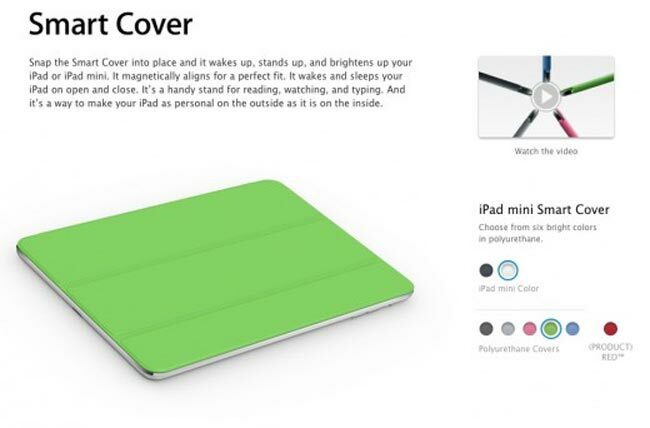 As well as announcing their new iPad Mini, Apple also announced their first accessory for their new iPad, the iPad Mini smart cover, which features a similar design to the existing iPads smart cover. The new iPad Mini features a new hinge design which does away with the double jointed design of the old one, and it will be available in a range of colors, which include grey, pink, black, green and blue, plus a Product Red version. The iPad Mini Smart cover will retail for $39 and will be available from Apple shortly, you can find out more information about the iPad Mini Smart Cover over at Apple. Apple has now launched their new iPad Mini, have a look at the difference between iPad and iPad Mini.